Blake loves matching games at the moment, so when we were asked to try out the Ravensburger Despicable Me 3 Memory game I knew it would be something he would love. 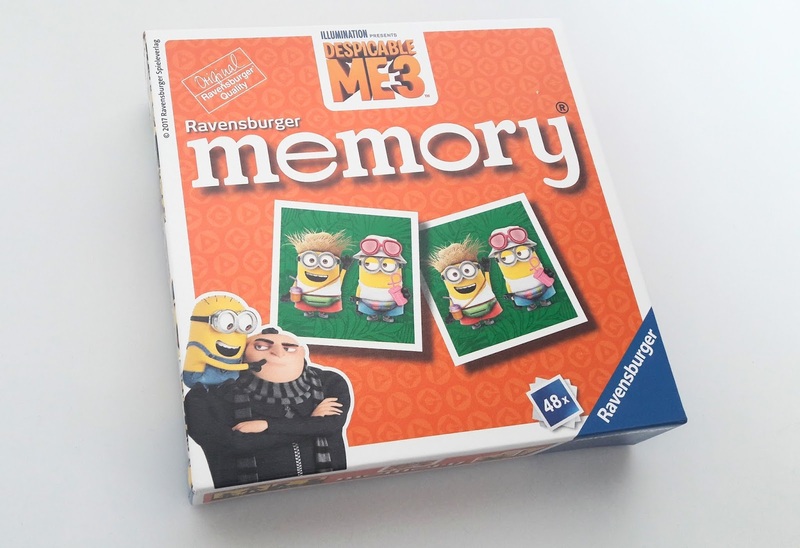 Ravensburger do memory games featuring different characters so if Despicable Me isn't their kind of thing you are sure to find a game with a character your child/ren will love. 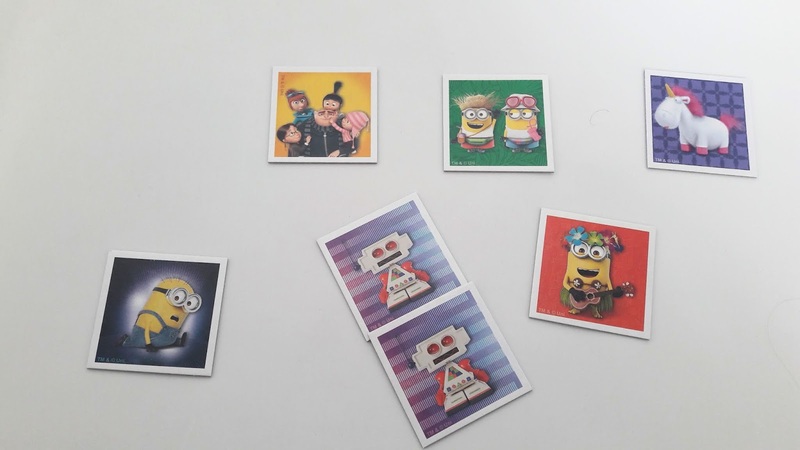 The aim of the game is to match 24 pairs of bright and colourful cards.The cards feature Gru and his adopted daughters Margo, Edith and Agnes, Lucy and the hilarious minions, plus the characters from the new Despicable Me 3 film. You place all the cards picture face down shuffling them and arranging them. The youngest player goes first and turns over 2 cards if they match they get to keep them and turn over 2 new ones. This continues until the player turns over 2 cards that don't match and then the next player continues the game. When the last 2 matching cards are turned over the game ends. Now the players stack the cards into a tower and the player with the most cards is the winner. The memory game can be played with 2-6 players and is suitable for children 3 years and over. With the summer holidays arriving this will be a fab game to take away with you on holiday or day trips where u need to keep children entertained. The game is ideal as its a compact size and provides hours of fun. We have been given the Oppertunity to give away two Ravensburger memory games. You could win either Ben and Holly or the Gruffalo game. To enter all you need to do is complete the rafflecopter below. Playing in the garden with my siblings. Oddly, dropping my brother on his head when I was trying to help my mum out! Playing outside the house in the mud.